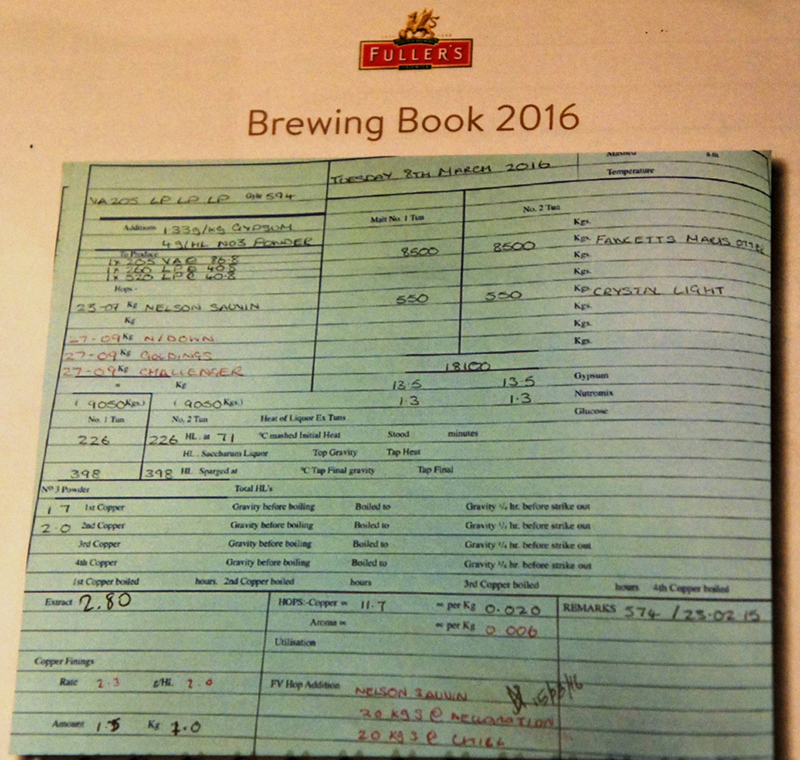 If you haven’t bought your 2016 Fuller’s Vintage Ale yet, either to drink now, or to lay down for later, or to preserve as an investment (what with examples from the 1990s selling for up to £500 a bottle, and even the 2013 costing £40 a pop), tough tubas – there’s none left. Waitrose is totally sold out, so is the brewery shop. Luckily I had a hunch my local specialist, Noble Green in Hampton Hill, might have some, and I manage to snaffle their last five examples. Fuller’s is being tight-lipped about why the 2016 is now impossible to find: there are rumours that something went terribly wrong with the packaging, but no one seems willing to say. It’s a great pity, because the 20th iteration of Vintage Ale since it was first brewed in 1997, is a lovely, lovely beer, already, at approaching a year old, deep and remarkable. This was the one with Nelson Sauvin as both a boil hop and an FV addition, the first time, I believe, that Fuller’s has used New Zealand hops in VA, and it works brilliantly: there’s limes coming through, and passionfruit, and mandarins, and a little bit of that Nelson Sauvin elderflower, all beautifully integrated over creamy toffee and deep brown malt sweetness, with just enough bitter (40 IBUs) to hold everything together. You’ll drink one bottle, and enjoy teasing out all the flavours so much you’ll want another one to continue the analytical fun, and then at the end of that one you’ll stand up and wobble slightly and realise you’ve just drunk a litre of 8.5 per cent ale. 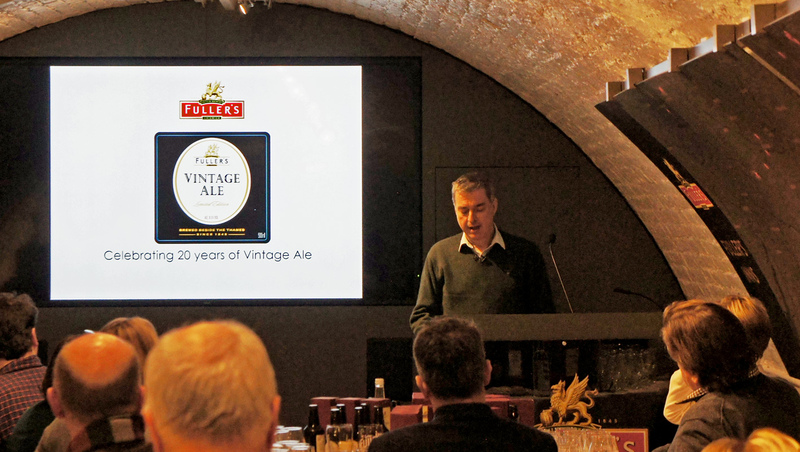 How the 2016 will develop as it gains more age remains to be seen, but Fuller’s had a gathering in the Hock Cellar at the brewery a couple of weeks back to celebrate the 20th anniversary of Vintage Ale with a tasting of ten different examples going back to 1999, and all are still very drinkable. 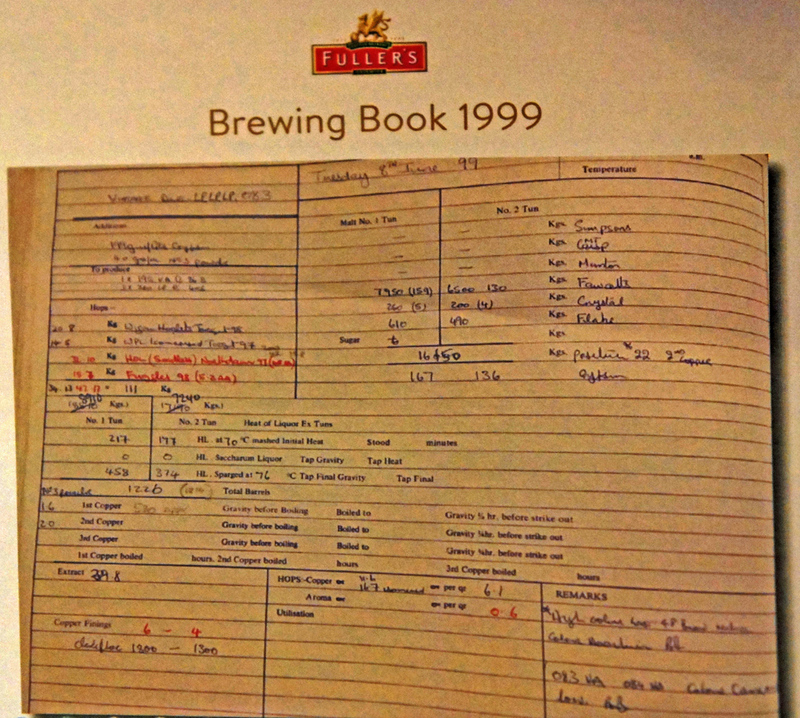 John Keeling, Fuller’s brewing director, who helped the late Reg Drury brew the first Vintage Ale in 1997, conducted the tasting and revealed a few secrets about the beer. Vintage Ale was, he said, an idea first put forward by the marketing department at the brewery – “they do get a good idea every 40 years or so.” However, Fuller’s knew something like Vintage Ale was possible after bringing out 1845, a bottle-conditioned strong ale made originally to celebrate the 150th anniversary of the Fuller, Smith and Turner partnership in 1995, and discovering that it actually tasted better at 12 months old than when it was new – “totally the opposite to every other beer at that time”. A beer has to be specifically designed to age, Keeling said: “Most beers will not age properly.” After 20 years, Fuller’s now has considerable experience in how beers age, with the interplay of negative reactions – notably oxidation – and a whole series of generally more positive chemical changes, such as Maillard reactions between sugars and proteins, which happen at different speeds, while at the same time alpha acids are breaking down, reducing the perceived bitterness (and boosting the perceived sweetness) and adding extra complexity of flavour, the colour of the beer is darkening and “madeira” and “sherry” flavours start appearing, and eventually “cherry” flavours, which you can cerrtainly spot in the older Vas.. The different speeds that the “good” and “bad” reactions take place at gives a “cycle” to beer ageing, which explains why that bottle of 2013 VA may taste disappointing now, but one of its brothers will be terrific if left for another nine months – and a third bottle of the same brew will disappoint another nine months after that, which a fourth, left for longer yet, will again cheer and enchant as it comes back “on” … you can regard this lottery-like aspect of beer ageing as annoying or part of the fun, but it does mean you shouldn’t dump the whole batch just because one aged bottle is disappointing. It may be just at a poor spot in its cycle. VA is always parti-gyled with London Pride, which raised a question: each year the recipe is altered slightly, with different hops and combinations of hops. Have Pride drinkers never noticed over the past two decades that every spring their beer tastes rather different, from the Fuggles and Target of 1999 to the all-Goldings of 2002 (that year’s VA was always a personal favourite, and it’s still wondrously smooth aged 15), the Goldings, Liberty and Cascade of 2014 and last year’s Nelson Sauvin, Goldings, Northdown and Challenger? I’d love to know if anyone has ever commented … see if you can spot the “Vintage Ale” gyle this year. 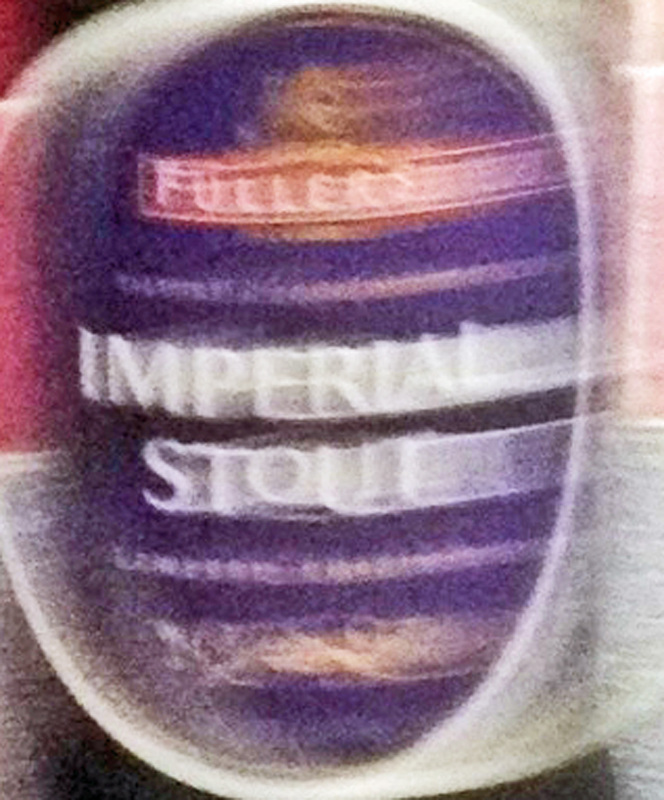 Fuller’s Imperial Stout – the most misunderstood beer of the past 12 months? Is Fuller’s Imperial Stout the most misunderstood beer of the past 12 months? It didn’t stir a lot of enthusiasm when it appeared last autumn: much muttering about the beer being too sweet, very little character, “a bit anonymous”, not drinking to its 10.7 per cent abv, not worth its £7-plus a bottle, not worth buying again. An air of disappointment settled down around it, a feeling that an Imperial Stout from the Griffin brewery, with its reputation for terrific tasty brews, really ought to have been much more of a sock-fryer than this beer was. Fair? I tried the Imperial Stout myself when it first came out in September (IIRC it was a free bottle actually given to me by John Keeling, Fuller’s head brewer) and yes, it was over-sweet and shallow. I wasn’t particularly surprised, though: this was a strong, dark, bottle-conditioned beer that had only been brewed four months earlier, and was barely out of the maturing tanks. To expect it to be anything other than one-dimensional at that age was like expecting a still-sopping newborn to show the depth and maturity of a 40-year-old. There was no reason to think this beer would not improve considerably as it aged, and the yeasts in the bottle munched away at those heavier sugars that were currently making it taste so sweet. So, feeling flush just before Christmas, I invested in a case, to see if this ugly duckling would turn into a black swan. My feelings had been strengthened when John Keeling himself tweeted in November about the Imperial Stout: “Hang on to it – it will be better in 6 months”. That’s this coming May, at which stage it will be a year old. But how’s it tasting now? Already a lot better than it was in September, is my opinion. It’s still sweet, but there’s a complexity starting to appear, with thoughts of liquorice toffee, golden syrup and plain chocolate digestive biscuits. (Rose buds? If you say so.) There is still little hint that you are drinking a 10.7 per cent abv brew, but it’s a very smooth sipping beer with a full, slightly peppery mouthfeel. It’s also a beer that needs to breathe a bit, at least at this stage of its ageing: the complexity becomes more apparent the longer the beer is in your glass. It’s also still clearly, to me, a beer that will happily benefit from yet more time being left alone in a darkened room. If you have a bottle of Fuller’s Imperial Stout, my advice is not to open it until at least the end of May – and I don’t think it will do you or the beer any harm to wait until November. If you have two bottles, try one this April or May and the other next April or May. If you’ve been put off buying it by the bad reviews in some places, I’ll tell you what: buy two bottles, drink one in May, if you don’t like it, I’ll buy the other one off you. The big problem has been, I think, that we’re not used to beers that don’t deliver their best as soon as we buy them. We understand ageing in other foods: cheese, for example, or meat. I know a restaurant in Hong Kong, the Blue Butcher in Hollywood Road, Central, that has a glass-walled meat store lined with Himalayan pink salt bricks, visible from the tables, where you can ask for your own personal virgin female Japanese wagyu beef steak to be dry-aged for an extra six weeks until it and you are ready. But we’re not yet up to walking into a bar and saying: “I’d like an Imperial Stout, please, aged for another nine months: I’ll be back in December to drink it.” Instead, brewers have been mostly ageing their beers that require ageing for us – Fuller’s keeps some of its Brewer’s Reserve series literally for years before releasing them on to the market when they’re ready. With Imperial Stout it didn’t, to the confusion of many. 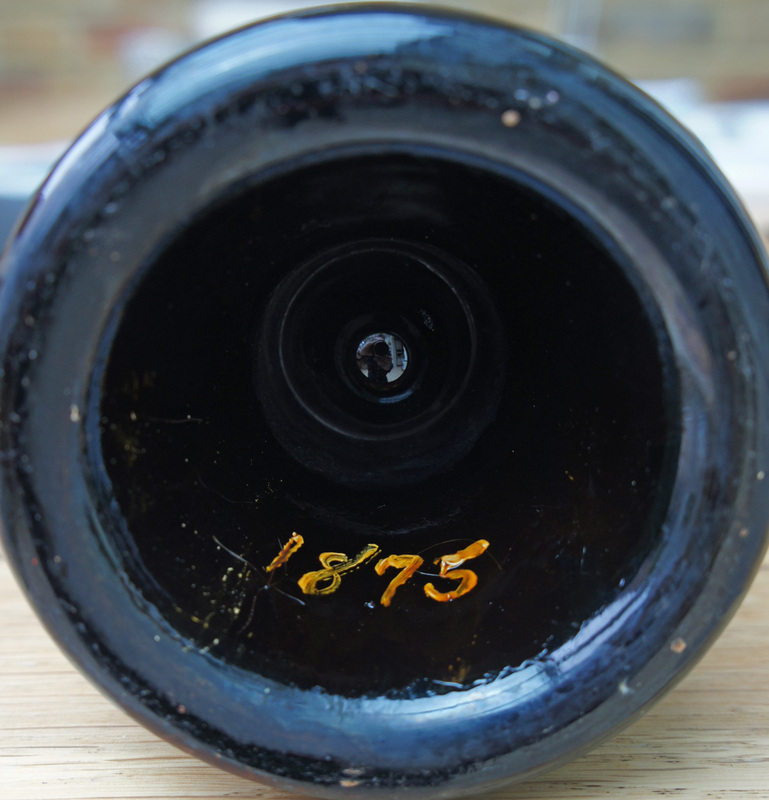 Another problem, for some, is the price: £7 a bottle on the Fuller’s website right now. That’s the same as three bottles of Chiswick bitter. But it’s no coincidence that a bottle of 10.7% abv Imperial Stout contains the equivalent amount of alcohol as those three bottles of 3.5% abv Chiswick: you’re getting just the same alcoholic bang per penny whichever you buy. Which gives you more pleasure, only you can reveal.